[SatNews] C-COM Satellite Systems Inc. (TSX VENTURE:CMI), has received its largest multi-unit order to date for its new generation Ka-Band antenna systems from Primetech (UK) Ltd. The 30 unit order for the C-COM manufactured iNetVu®Ka-75V vehicle mount antenna systems is the largest ever placed from the UK for use with the Eutelsat KA-SAT NewsSpotter service. Primetech (UK) Ltd. is C-COM's leading UK based systems integrator as well as its first European Authorized Service Center. The company has been selling iNetVu® antenna systems for over a decade. 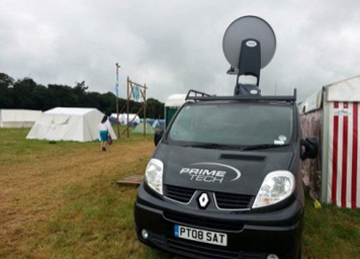 Primetech provides integrated broadband solutions to their customers across the UK using C-COM antennas bundled with the Eutelsat KA-SAT Newsspotter service. Henry Walker, director of Primetech, said, "The iNetVu® Ka75V satellite antenna is a hugely powerful, robust and proven product, which we have been installing in increasing numbers throughout the UK. The system enables users to send and receive—in a secure way—massively increased amounts of voice, video and data using Ka-band, supporting a wide range of business-critical activities." 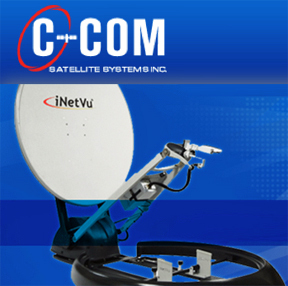 Leslie Klein, President and CEO of C-COM Satellite Systems Inc, said, "This significant order from Primetech for the UK confirms the increasing popularity of the iNetVu® antennas over the Eutelsat KA-SAT coverage area."